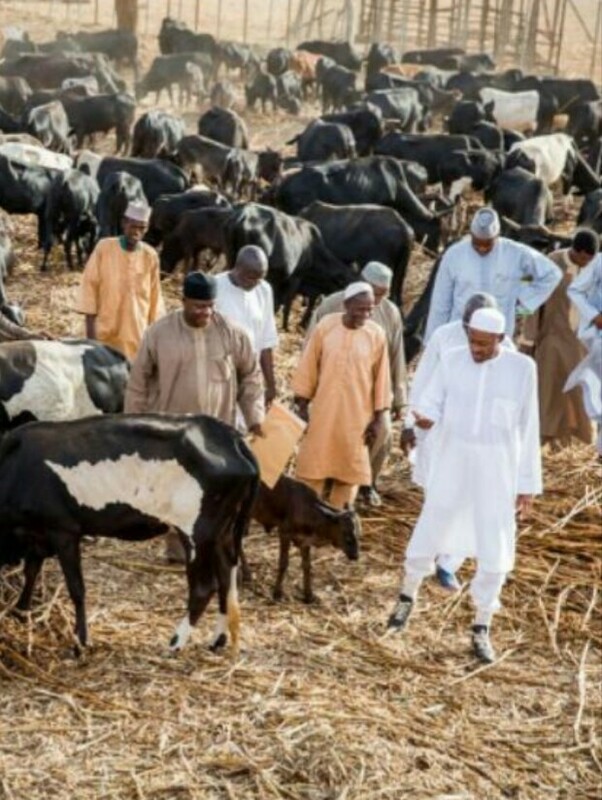 Essien Ndueso, a media aide to Akwa Ibom State Governor, Udom Emmanuel via his Facebook page claimed that President Muhammadu Buhari’s cows are faring better than many Nigerians. I wish I knew the kind of super glue used to seal the mouths and eyes of all emergency Civil Liberty Organisations, Human Rights Activists in Akwa Ibom state. 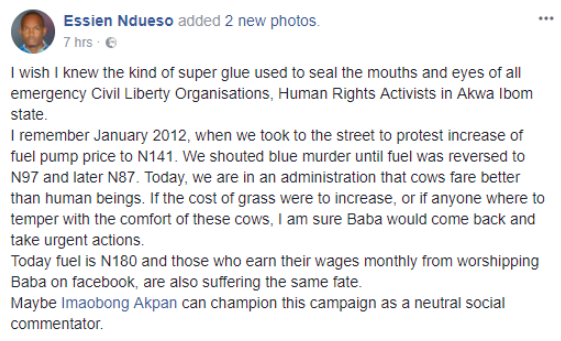 I remember January 2012, when we took to the street to protest increase of fuel pump price to N141. We shouted blue murder until fuel was reversed to N97 and later N87. Today, we are in an administration that cows fare better than human beings. If the cost of grass were to increase, or if anyone where to temper with the comfort of these cows, I am sure Baba would come back and take urgent actions. Today fuel is N180 and those who earn their wages monthly from worshipping Baba on facebook, are also suffering the same fate.